Business owners need current accounting information as soon as possible in order to make sound business decisions. QuickBooks® accounting software has become the favorite application of small businesses to accomplish that goal. To assist you in that regard, we have three Certified QuickBooks® Professional Advisors, more than other local CPA firms in northeastern Maryland. Our staff of experienced accountants can help you no matter what version of the software you use. We are knowledgeable in the Premier industry specific editions, such as the contractor’s edition, as well as QuickBooks® Enterprise for larger companies and QuickBooks® Online Edition. Whenever you have a QuickBooks® question, just give us a call. We provide ongoing telephone support to our clients, answering their questions the same day and, in most cases, immediately. For many small business owners, record keeping and accounting are their least favorite parts of running the business. There just doesn’t seem to be enough time each day to keep track of your bills, receivables, payroll, sales tax, etc. 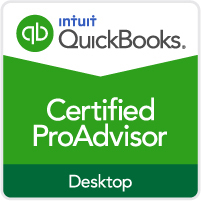 Margaret A. Ruth, CPA has been a QuickBooks® ProAdvisor for fifteen years and has helped hundreds of business owners make the most of their software. She and her team, Elizabeth Renna, CPA and Lisa Picciotto, can teach you to use the software to its full potential so that you will have the time to do what you do best. If you have never used QuickBooks® before, we will help you get off to a good start by assisting you with installation, setup and training. Our training is tailored to your specific needs and can be provided for an individual or a small group. BSLR training gives our clients the skills that they need to be in control of their financial data and obtain accurate reports 24/7. Tax planning and reporting can be completed more efficiently when clients have an accurate set of books. Whatever your situation, we can assist you in automating your business accounting. We can take you from program installation through designing the management reports your business relies on. Contact Margaret Ruth via our online contact form for information or assistance. We are ready to help.